Maze, a new technology company based in China, is planning to release a competitor against Xiaomi’s Mi Mix. The Maze Alpha, will be an impressive smartphone with a 6-inch bezel-less display. Images revealed in its teaser shows that the Maze Alpha does seem to closely resemble the Xiaomi Mi Mix’s display. 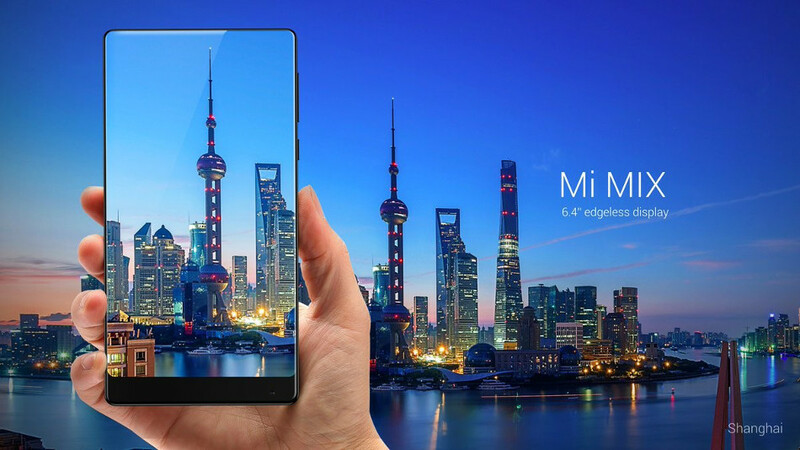 Bezel-less smartphones are rare in the market today and the Mi Mix‘s screen is one of the most interesting displays that come to mind. The bezel-less design trend could get more popular during this year with certain companies intending to announce their new smartphones in the later quarters of the year. From teaser images, we don’t see the bottom of the smartphone, but it appears as if everything on the front is largely based off the screen. The back of the phone is revealed to have a dual camera setup and flash. As of this moment, we don’t see anything else on the back, but we believe that there may be a fingerprint scanner hidden underneath the display.? That will be confirmed when the phone is announced as the teaser image doesn’t show the bottom of the phone. However, we won’t really know this until specifications of the phone gets officially announced. Not much is known about the Maze Alpha. However, it seems like the company seeks to make a lasting first impression with an excellent phone for its debut. We wonder how well the Maze Alpha will fare against the Xiaomi Mi Mix, which was released back in November. One of Xiaomi’s latest flagships, the Mi Mix was well-received by the public and continues to sell really well across the globe. Due to short supply, the Mi Mix is hard to get elsewhere other than from within China, either from Xiaomi itself or other electronics distributors. Xiaomi recently announced a white version of the Mi Mix, which was so popular it was sold out in seconds. The phone seems to be doing well and Xiaomi has already confirmed that they will be launching the upcoming Mi Mix 2 even though the Xiaomi Mi Mix is only five months old. The Mi Mix features a screen that covers most of the front panel and we wonder if Xiaomi can blow our minds with an equally impressive design without keeping things too boring. The Mi Mix currently has one of the most impressive screens but it could be rivalled soon by Maze, which is planning to debut with a smartphone with a bezel-less design.